Dr Paul Lee reviews a new Titanic book which brings an unorthodox approach to Titanic storytelling. In this centenary year, it is hard not to feel deluged with an inundation of new books and while some tomes have received justifiable laurels, some smaller works have elicited less scrutiny and plaudits. Simon Angel's work is one such release; a pity, in this reviewer's opinion. Short on images, but undeniably lean on the pocket, this 320 page A5 paperback attempts to ascertain some truths behind the disaster and while this approach is not new, the presentation is indeed novel. The main narrative is interspersed with "Titanic Interludes" to explore various sub-topics: Ismay, Andrews, the wireless, the iceberg etc. Readers may question why these topics were not placed in appendices, but this reviewer did not find the book's unusual structure a problem. The "interludes" and the main body of the text are self contained, and one could easily read one without relying on the other. With a plethora of new books on the market, Angel's approach to the Titanic is one of scepticism. He dispenses with the "romantic" Titanic of legend, and populates the ship with people who have human failings; self preservation, exaggeration and lies. If the book's thesis is correct, the Titanic that we know really exists in a miasma of confusion and doubt, rendering attempts to discern the truth problematic. Recollections mere days afterwards give indications of trauma distorting the memory, and when one includes revisionism introduced by decades of malleable memories (Boxhall, Lightoller and Eva Hart are mentioned in this regard), the Titanic story becomes increasingly sullied. The difficult question is posed; with so much contradiction, which elements of the story can be trusted - and why? Angel discusses the evidence and lets the reader judge, although I was surprised that another possibility for the lack of harmonious data in many instances was not mentioned; namely, disinformation generated by resentful and angered passengers. As an example, Mrs. White’s scornful comments could conceivably fall into this category. One of the main themes of the book is that many members of the crew elected to tell the inquiries stories that would give the best possible impression of themselves, their crew and the ship, and Mr. Angel provides copious examples from inquiry transcripts, interviews and letters. The lack of coherence in some cases is plain; we have boat 16 crewmen Andrews and Archer, whose near identical testimony (given within minutes of each other) describes a boat deck bereft of commotion or confusion...even though mere feet away Lowe had to fire his pistol to quell a near riot; we also have Alfred Crawford who neglected to mention in evidence the "mutiny" in his boat when a suggestion was mooted to help those in the water; Lamp Trimmer Sam Hemming only delivering boats to the forward port side boats despite his testimony saying otherwise; and so on. The conduct of the officers is analysed too; we have Boxhall inspecting the forward areas of the ship after the impact, without being given orders to do so; Lowe leaving in a boat without instructions from a senior; and Lightoller's plan to load the boats from the waterline, seemingly without telling anyone. With a Captain who stationed himself near the bridge nearly all night and whose presence was a rarity once the boats started loading, Angel gives the impression of a ship whose officers were acting near autonomously without waiting for orders. And even when the order for boats was given, the pandemonium is palpable. Some crewmen did not know where their assigned stations were, or were diverted to other boats, and some crew feigned knowledge of basic seamanship to gain admittance to a lifeboat. We are told that the boats were readied efficiently and promptly; but on the other hand, we have comments that some boats were not even uncovered until fairly late in the evacuation process (for instance, no.9) and some passengers were disparaging about their handling, giving an impression of clumsiness, uncertainty and chaos. If one were to read the crew's accounts, all was calm and orderly. Mental anguish alone cannot, the book argues, explain these chasms in the accounts, but Simon Angel refers to the Report of The British Inquiry which stated that the crew exaggerated the number in the boats to make the best case for themselves and the ship. In "The Titanic - Everything Was Against Us" the argument is that this "exaggeration" was not just confined to statistics, but to every facet of the Titanic disaster. For those who label Lightoller as an apologist for the White Star Line, this is a familiar theory, but Angel extends the argument to many of the crew. Indeed, it is claimed that similar arguments extended to passenger's stories, some of whom tended to inflate their own tales to the point of fabrication, heroically claiming to have been plucked from the water, or leaving in the last boat. Few of these claims are anything but bogus. Concluding his book, Angel ponders on similar disasters, but the Titanic catastrophe seems to be unique in the historical record; other vessels sank rapidly and/or rescue was expeditiously at hand (the book studiously avoids going into the Californian controversy). Following this, the book discusses the practicalities of abandoning a Titanic equipped with sufficient lifeboats for all and comes to some interesting deductions; I won't spoil it for potential readers. Finally, Mr. Angel then cogitates on the Republic disaster three years previously, and as to whether a proposed, but abortive inquiry would have done any good as comment was raised at the time about the shortage of lifeboats and the time taken to abandon ship. Angel is sure that an inquiry would have raised the importance of "boats for all" in the public's eye, but I feel that this he overstates his case a little. In summary, this is a good book, being both well written and cheap. The conclusions may be controversial, but the presentation and interpretation of the data are original. 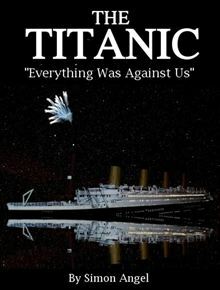 The Titanic - "Everything Was Against Us"
Give your opinion on the Titanic Books forum.